Login to play Frooty Licious Slots! This game offers fantastic features like wilds, free games, and a prize pick feature where up to 111x the stake value can be won! 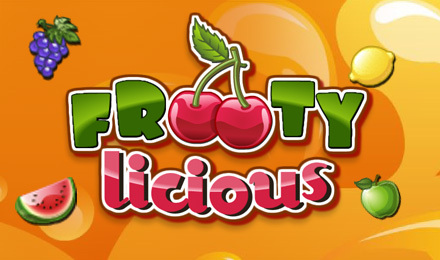 Frooty Licious Slots is the best fruity treat that you can get online! This entertaining game by Eyecon comes with 3 reels and 9 paylines, and it has a 90.74% RTP. You can certainly get some sweet wins on this game to satisfy your cravings with loads of fantastic features! The reels are filled with colourful fruits along with some classic symbols such as the bars and bells. Earn 8 Free Spins when 3 Bar scatters land in any position on the reels. Play the Prize Pick feature where you can earn up to 111x your total bet with scattered bell symbols.